We are excited to announce the next Twylight Disco to be held on at the Heimat Centre, 125 George St Doncaster from 7-10pm. This is an evening youth disco for people aged 16+ with a disability. 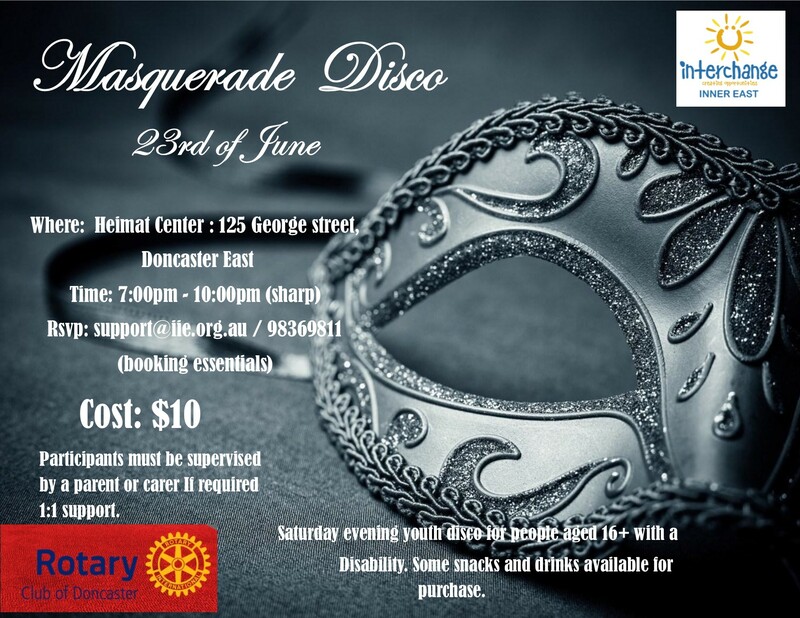 There will be a live DJ and the Rotary Club of Doncaster will have snacks and drinks available for purchase. Attendees must be supervised by a parent or carer if they require 1:1 support.